Previous Post Want to join my club? Next Post Back in LA, having a burger at the Stand in Westwood. Seoul + Tokyo were amazing. Good job on carolla today dude!! Awesome stories!! Have fun in Dongdaemun and Myongdong. And don’t get sucked into Itaewon… anything you buy there can be had at Dongdaemun for 1/3 of the price. Of course that guy that sells suits is one of the best salesmen I’ve ever seen and speaks perfect English – “James,” I think. I’ll send some $M so you can have a “Hite” beer on me at the (S)Limelight. 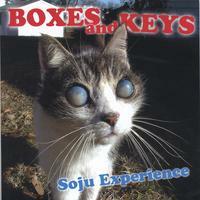 Stay away from Soju or you’ll end up like this cat. Still slow as balls. We’ve got networks running 10gb/sec in the Bay Area.